Still using your phone to check the time? Be more on-trend with Molvena. A watch collection that’s both a conversation and timepiece. Available in six finishes. Watches - minus the commitment. Molvena’s affordable enough to switch with your outfit or mood. Find one that suits your signature style, and one to shake things up at night. Exclusive to MADE, Molvena showcases our love for materials. 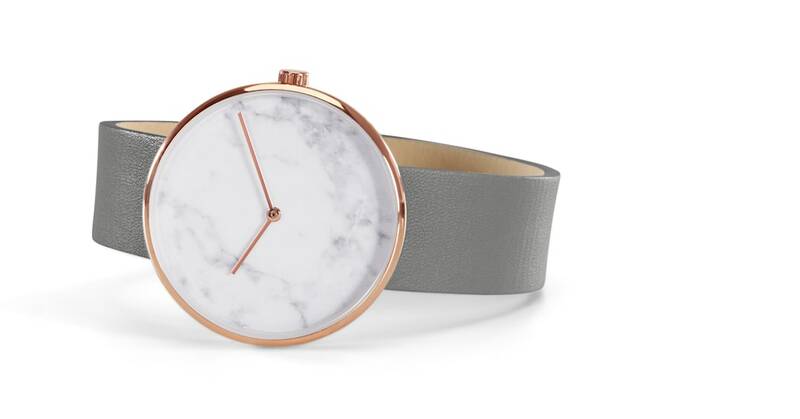 Check the rose gold and white marble or pared-back tan. All wrapped up for your wrist with 100% real leather and case-matching fastenings.